There are many different types of roofing services available depending on your needs. Most roofing companies can provide you with a number of these services. Some of the basic roofing services include maintaining your current roof in order to save money, repairing a roof when damage or age has compromised the structure or covering. Asphalt shingles tend to be the most popular because they are easy to install, have many different colors to chose from, work well for steep slopes, and come in a variety of sizes. Approximately 70% of all houses in the US have asphalt shingles. Metal roofs have become more affordable during the years and are becoming a very popular choice because they are long lasting, come in numerous colors and patterns, many times results in lower insurance premiums and requires less maintenance than other roofing materials. Tile roofing is best used in areas where winter weather is not experienced. Most people who choose tile do so because it can last the life-time of the roof and is very attractive. Fiber cement tiles can be used for those that like the look of tile roofing but experience cold weather. Cedar shake shingles have a very classic look because they have been used for hundreds of years. These shingles are able to resist rot and water because they contain natural oils. Keep in mind that these types of shingles require a lot of work to install which can make them a more expensive choice than some of the others. One of the greener choices in roofing is rubber. Many people choose this type of roof because it works well for flat roofs, is long lasting, lightweight, is easily installed and repaired, and is environmentally friendly. Those that provide roofing services will come equipped with many different types of tools to help them complete their jobs. Some of the basic tools will include a nail belt, tape measures, a claw hammer and framing hammer, a carpenter’s square and a combination square, a level, a nail puller, wrenches, screwdrivers, drills and different types of saws, ladders, saw horses, chalk lines and pencils. 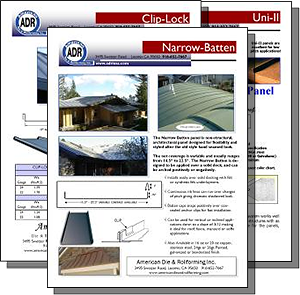 Some roofers also use nail and staple guns that run on either electricity or air. Not only will you need to decide which type of roof material you want you will also need to decide if you will be doing the roofing yourself or hiring a company to provide you with roofing services. One of the things you will want to make sure of when hiring a company or person to provide roofing services is that they have good references and the proper licenses and insurance. A good roof installation can last the lifetime of your home if you choose the proper materials, provider of services and remember to do regular maintenance and repair. 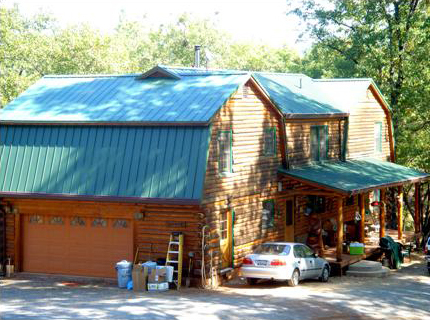 The skilled craftsmen at Lawrence Roofing & Associates Inc have been installing metal roofing and siding for 30 years, including standing seam roofing, Hi-Rib, Rib-Deck, Narrow & Wide Batten, Snap lock , soffit panels and Clip-Rib. In addition we have recently added a variety of metal tile panels. We are located in Loomis California, at the corner of King and Swetzer Road. You can contact us through our phone no. 916-652-7446 and fax no. 916-517-1437 or you can email us through info@lawrenceroofinginc.com. 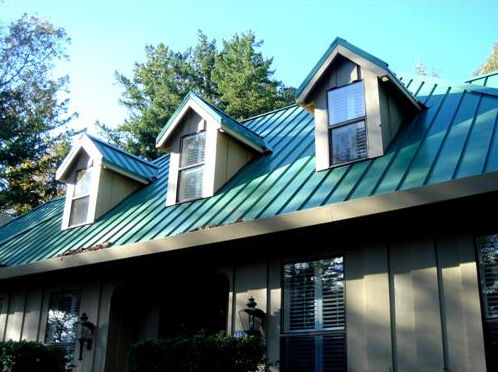 The skilled craftsmen at Lawrence Roofing & Associates Inc have been installing metal roofing and siding for 29 years, including standing seam roofing, Hi-Rib, Rib-Deck, Narrow & Wide Batten, Snap lock , soffit panels and Clip-Rib. In addition we have recently added a variety of metal tile panels.